The delicious textures and delightful colors of the Park Throw make it an inviting accent for any room. 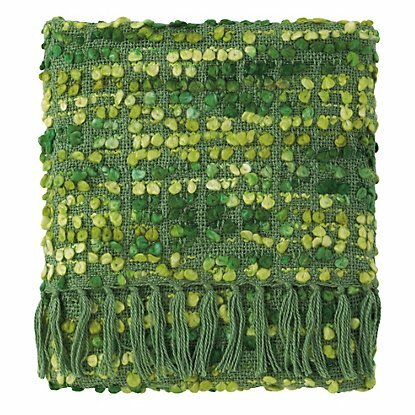 Variegated yarn is woven in a popcorn-like stitch, giving this throw it's distinctive texture and coloration. It's finished with a long hand-knotted fringe. Acrylic. Imported. The Park Throw is 50" x 70" woven with alternating horizontal rows of 1' solid flatweave and single rows of tie-dyed poofy yarn. Twisted, 3' long fringe on top and bottom. Cleaning and care instructions: dry clean only. Copyright Comina. All Rights Reserved. Web Development by Firebrand Designs.